There is nothing quite like living in the city but still being able to enjoy a stunning view from your balcony. This was exactly what our customer wanted to achieve but their balcony was looking old, tired and in desperate need for a transformation. 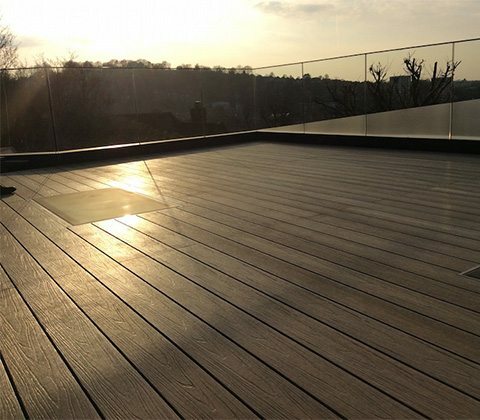 During the Spring season we were lucky enough to be part of this fantastic rooftop balcony project. 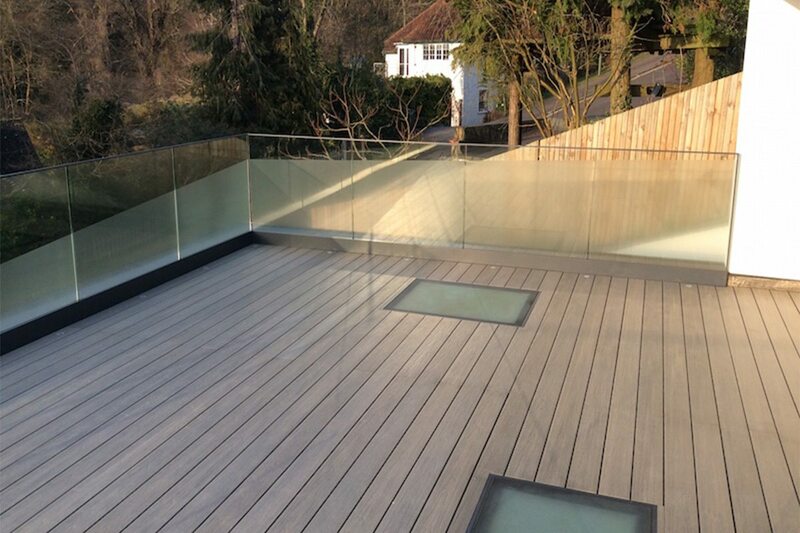 The customer wanted to create a deck flooring solution on their large waterproof membrane roof extension. 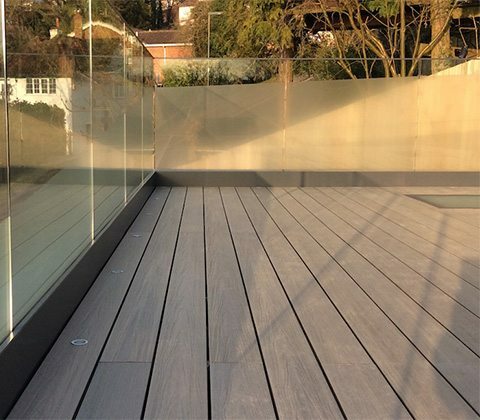 With a glass balustrade already assigned to the project, they were looking for a decking system to fit in the structure in place without causing any damage to the membrane. 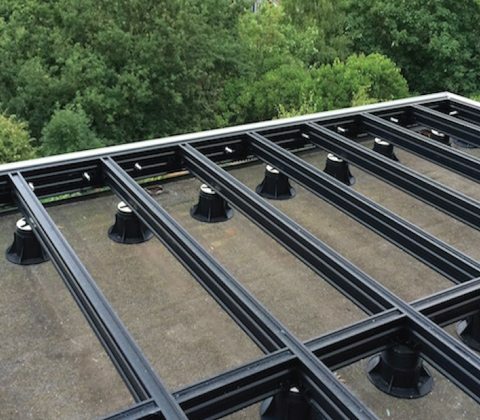 Qwickbuild was of course a perfect fit, light weight and moisture resistant, the kit frames were manufactured in our workshop and delivered to site as ready made lengths ready for our installation team to carry out the project. 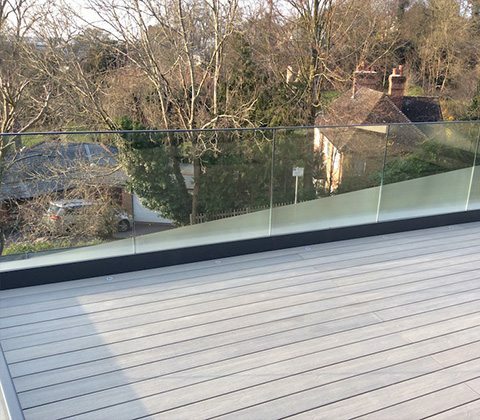 Once on site, our team were able to work around the balustrade installation and carry out their work to our usual high standard for both quality and timescale. 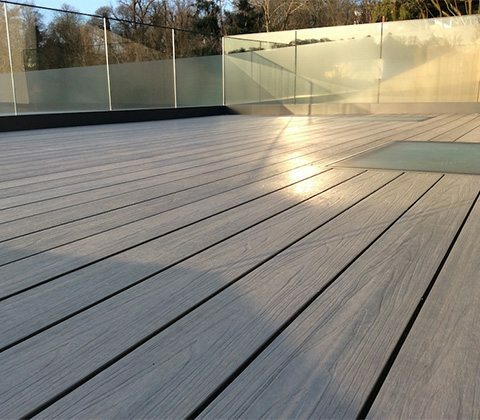 The decking was perfectly fitted around each roof light in place and around the decking lights around the border of the balcony. On this particularly project, the customer had also invested in a particularly bespoke set of bi-folding doors, that open up by sliding into the decking. Our in-house design team took extra care in making sure every detail of this project was considered before manufacturing commenced, assuring the customer that we had taken into account every requirement of the project and knew exactly how to carry out the tasks within the timescale quoted. 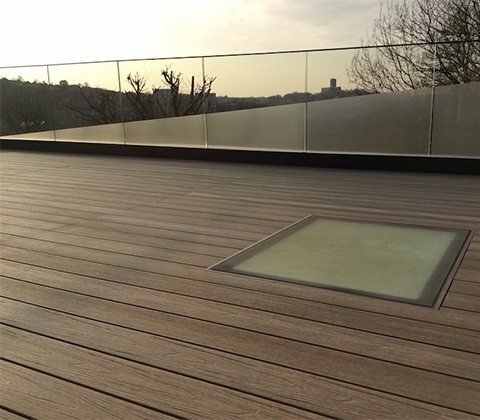 Without a straight forward corner within the whole rooftop balcony area, this project was both challenging and exciting for our team, really showcasing the capabilities of our product range and the endless design possibilities it can cater for. 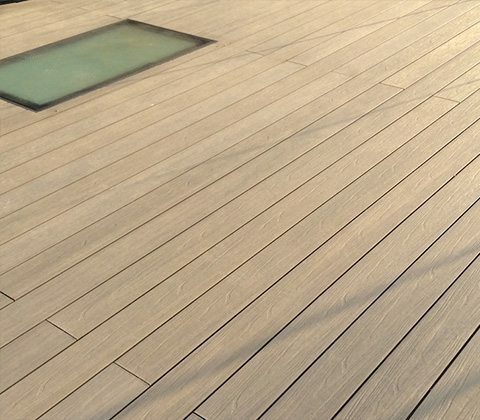 After speaking to the customer directly we were able to agree upon a suitable budget for the project. 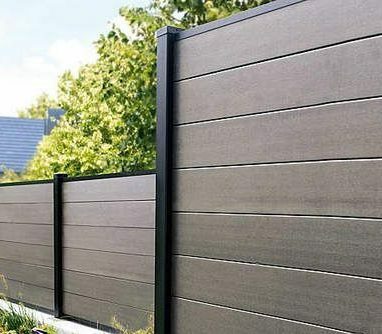 Offering a unique design, manufacture and installation service for their chosen designs we created a system to meet all of their specifications. 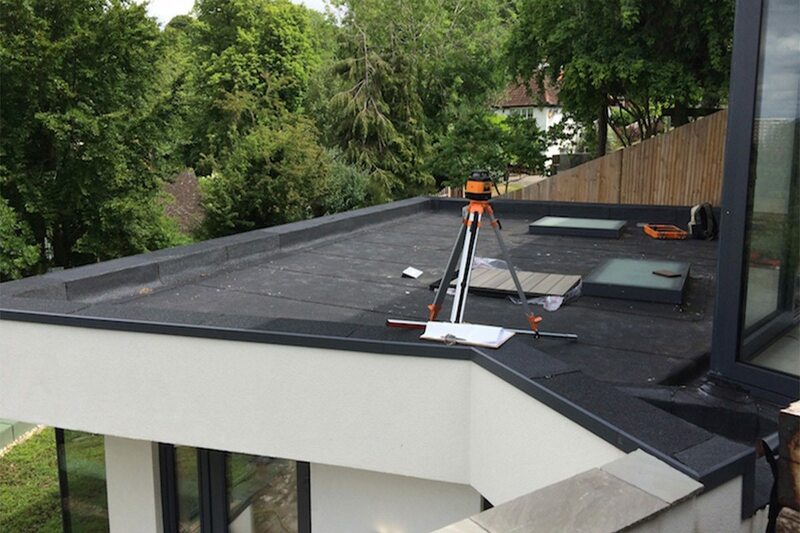 Prior to manufacture we performed a site visit, this allowed us to take accurate measurements and seek out any potential issues when installing our system. 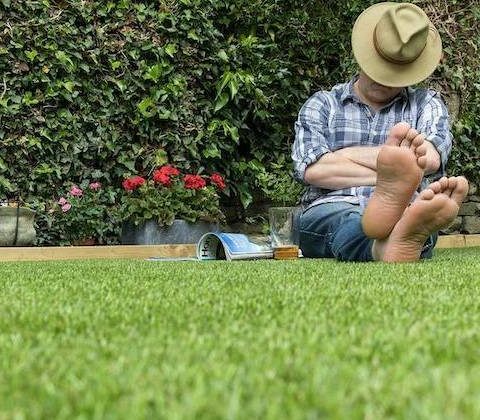 This ensured a quick and easy manufacture and installation process, avoiding any unwanted surprises. 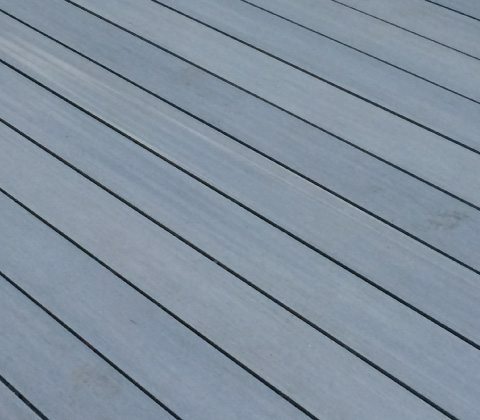 Utilising our revolutionary Qwickbuild aluminium sub-structure it was possible to manufacture the decking sub-frame as made-to- measure sections prior to arriving on site, saving time and money. 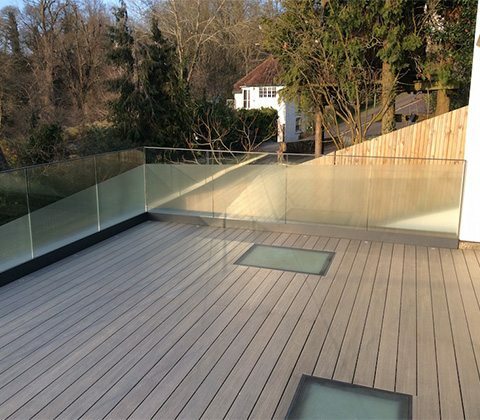 Once on site, our installation team were able to remove the existing platform and wood balustrade, install the aluminum frame, composite decking boards and glass railing in just two days.